This ONE good habit could add YEARS to your life! It’s the little-known secret to preserving both your health AND your sanity as you grow older. But it’s not some drug with ugly old side effects. It’s not a fad diet, an exercise device, an app or a gadget. While all of those things can have a place in a healthy lifestyle – and some can play a role in keeping you in fighting shape – one of the biggest steps to protect your body and mind isn’t in something you do for yourself. It’s doing something for OTHERS. Volunteer work can help keep you physically active and mentally engaged, two proven factors for healthy aging. A study published last year found seniors who volunteer have the health of people FIVE YEARS younger. Another study found volunteering twice a month could cut your risk of hypertension by 40 percent. Other studies have found lower inflammation and stress, and better emotional well-being goes hand in hand with lending a hand to others. While everyone can benefit from volunteer work, older folks who spend too much time inside—especially seniors who are alone or have shrinking social circles—can get the biggest boost of all. Don’t know where to get started? I’ve got you covered. Religious institutions are always looking for some extra hands. They will welcome your help whether it’s in ushering, helping with services, or assisting with community programs. Some may need a volunteer to help with Sunday school or watching the kids while the parents attend service. And most rely on volunteers for their outreach programs, including bringing meals, driving worshippers who are unable to do so on their own or just spending time with people who are stuck at home due to injury or illness. Love live entertainment? Here’s a chance to enjoy it all… FREE. Plus get all the health benefits of volunteer work. These places ALWAYS need help, and many rely on volunteers to sell tickets, seat patrons, run the snack bar, or handle backstage services. Maybe it’s a community group putting on local versions of Broadway plays. Perhaps it’s a theater featuring touring artists, including some you may know and love. Or it could be the local college has a theater with a little bit of everything. Whatever the theater, these roles often have one thing in common: In most cases, you can enjoy some or all of the shows free even as you do your volunteer work. It’s no secret. America’s schools are facing a budget crisis. 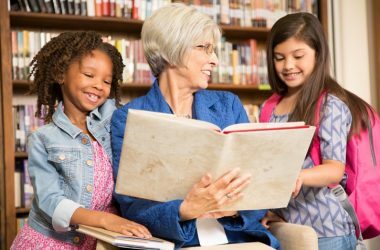 One way to save is with volunteers who can handle certain tasks, including helping kids to and from their buses, assisting in the libraries, and working as tutors. If you have any background – or, especially, certifications – in education, those schools might even have a bigger role for you. Different states and districts have different rules on who they allow to help in what schools and in what positions. And many will require background checks. Contact your local district office to find what volunteer roles they may need help with. If you’ve spent any time in a community hall or senior center, you know they don’t just run themselves. Most rely almost entirely on volunteers for everything from basic maintenance to running programs. Some also use volunteers to drive people to and from the center. Contact yours to see what they need. Or, if you have a specific idea for a class, program, or discussion group you can lead, let them know. Much like schools and community centers, libraries are facing a cash crunch. They need volunteers to help with shelving books and running programs such as lectures, readings, and movie nights. And most rely on volunteers to handle every part of those wildly popular used book sales, from sorting through the donations to running the sale itself. Help out with those, and you might even get the first crack at some of those dirt-cheap books. Want more volunteer opportunities? Check around – check bulletin boards – or use Google. Organizations such as Volunteer Match and Corporation for National and Community Service are great places to start. Everything from local parks and gardens to soup kitchens and food banks could always use some extra hands. Lend them yours. You’ll help others… and in so doing, help yourself.